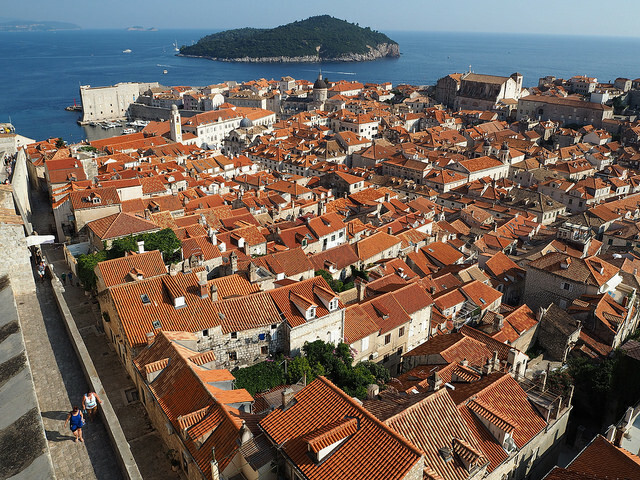 Whether you’re a fan of Game of Thrones or not, there’s a fair chance you have heard of Dubrovnik. 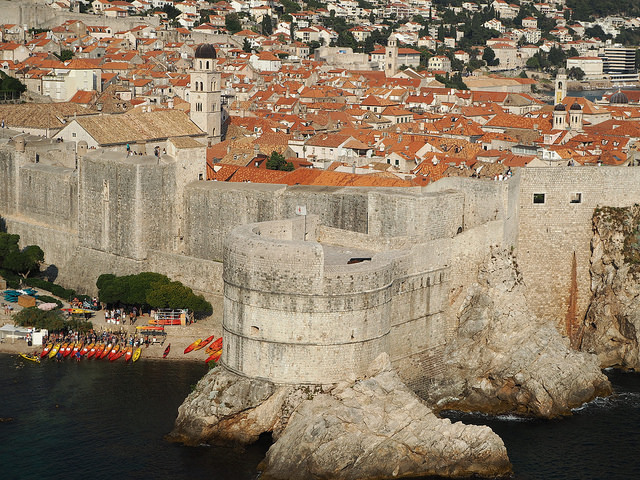 Dubrovnik is a wildly popular tourist destination that is high on many travellers’ bucket list. We decided it was time to check it off our list. Dubrovnik is called the Pearl of the Adriatic and for a very good reason; Croatia’s most visited city is absolutely stunning! 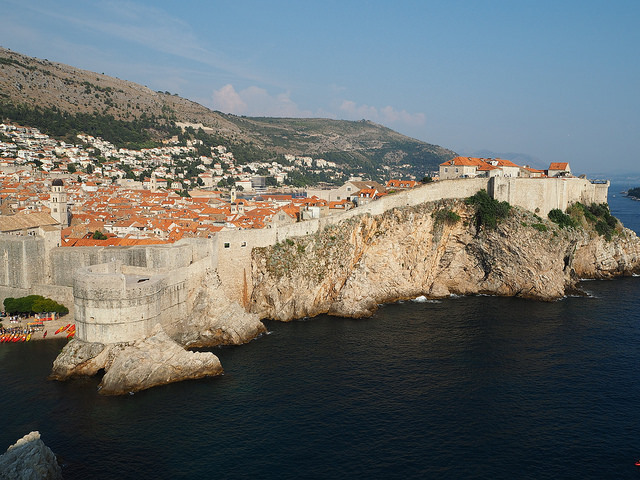 Set on the shores of the Adriatic Sea with its oh-so-clear blue waters, Dubrovnik’s walled old town is breathtaking. 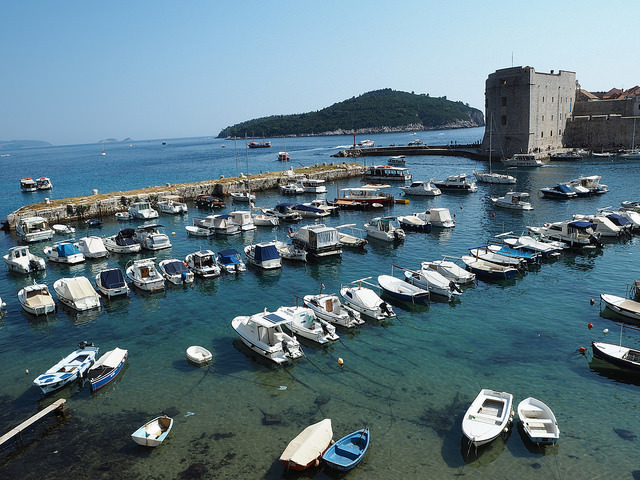 And even with its small size, Dubrovnik has plenty on offer to keep you busy. 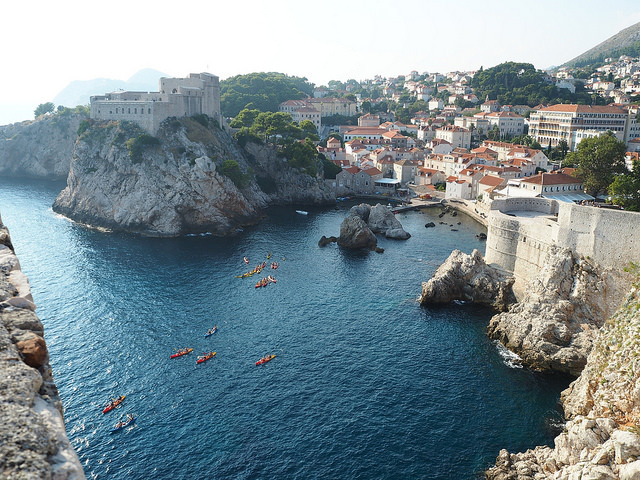 Here are the top ten things we enjoyed doing in Dubrovnik. 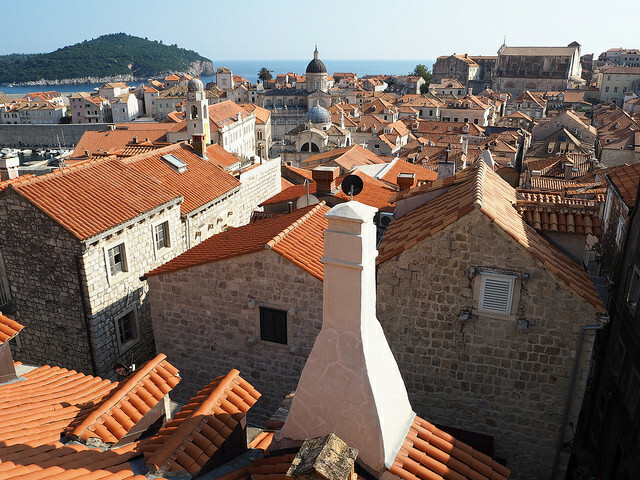 Wandering through Dubrovnik’s well-preserved old town feels like being in medieval times. 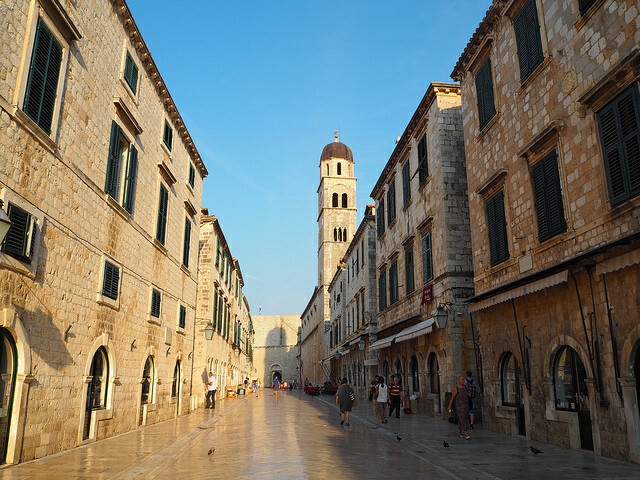 The old town or “Stari Grad” is what most people come to Dubrovnik to see. 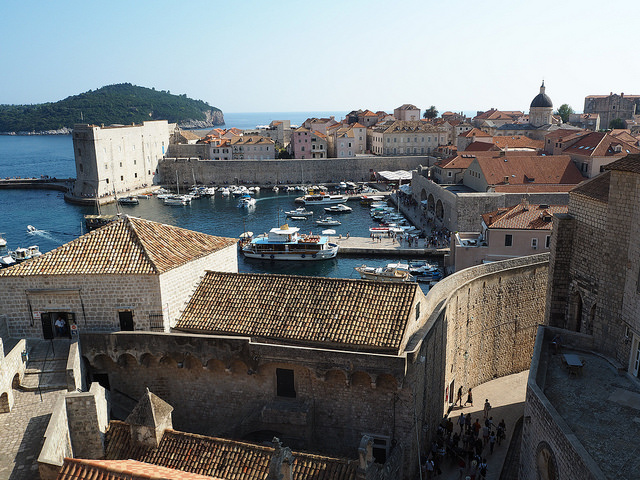 Many scenes from Game Of Thrones’ mythical King’s Landing were filmed in and around the old town. If like us you are a Game Of Thrones fan then you will recognise some backdrops of the HBO TV show as you walk around the fortified city. 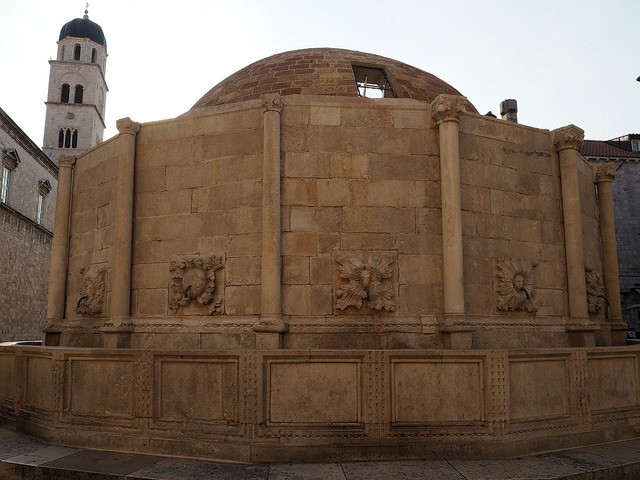 There are two entrances, the Ploce gate on the Eastern side and the Pile gate on the Western side. The main entrance is the Pile Gate. 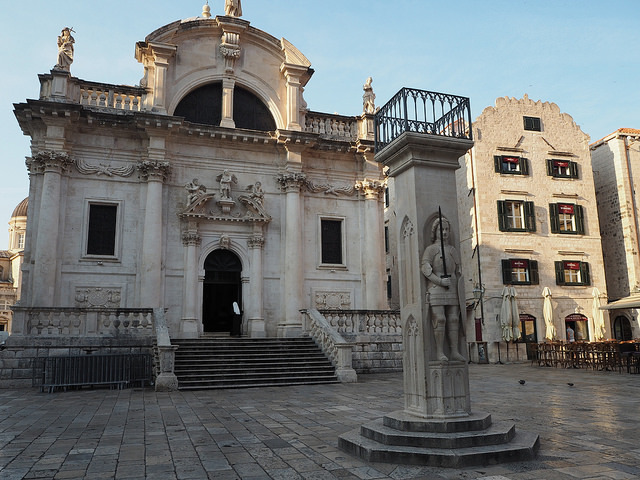 It leads you straight onto the main street – Placa street or Stradun. Stradun crosses from East to West and is always super busy. In August, it was impossible to find it empty whether we stayed up until midnight or woke up at first light. 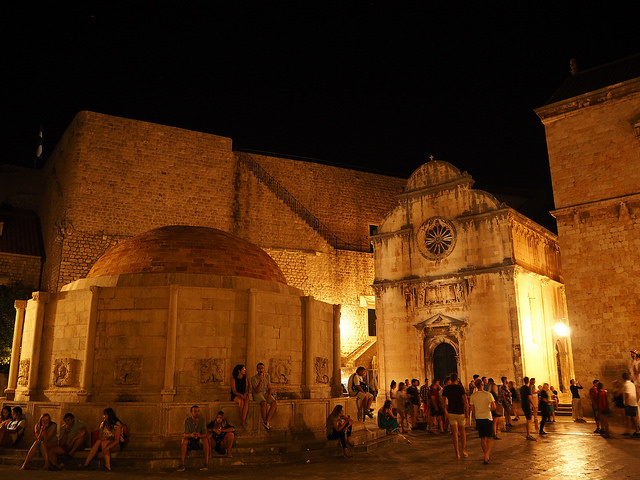 The old town has many sites worth a visit such as the Rector’s Palace, the Onofrio fountain, the Church of Saint Blaise, the Franciscan Monastery, the Orlando’s Column, the Sponza Palace and the War Photo Limited Museum. 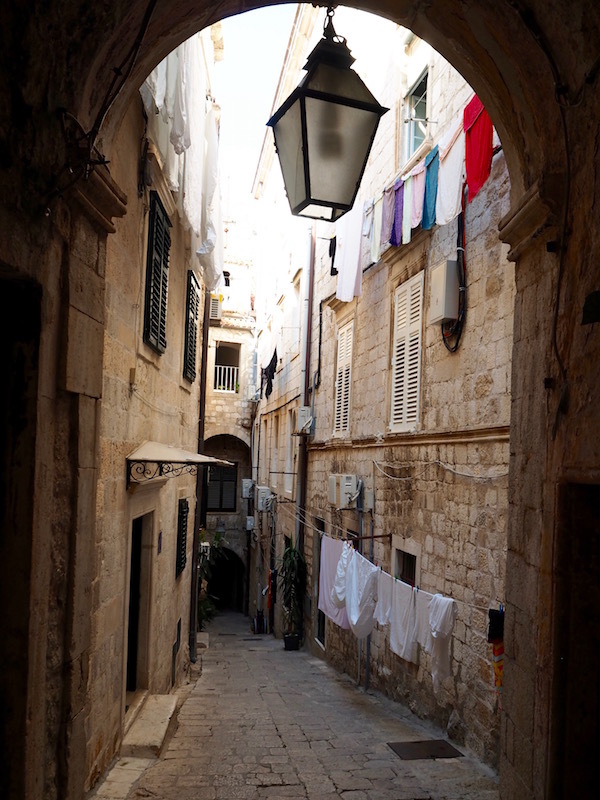 However, in my opinion getting lost in its narrow streets is the best thing to do to truly experience the old town. Take your time, wander around and explore them. There are so many lovely little alleyways that you will miss if you simply stick to the tourist maps! Getting lost in the narrow streets of the old town! Climbing the old town’s walls is a challenging but rewarding experience. These massive stone walls surround the city and are around two kilometres long. 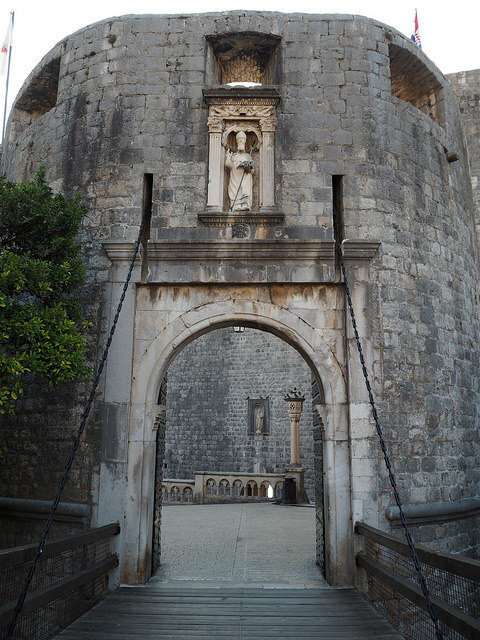 They protected the people of Dubrovnik for thousands of years and are now a UNESCO World Heritage Site. The best time to walk the walls is either early morning or late afternoon. 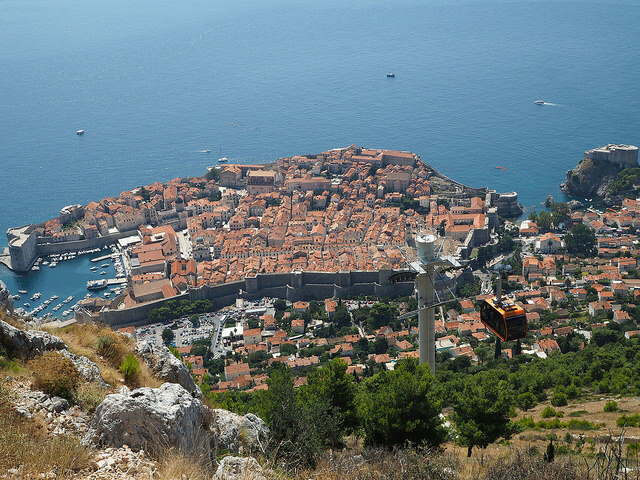 You will then avoid the crowds from the cruise ships that visit Dubrovnik for the day. It will also help you escape the heat which gets pretty unbearable in the middle of the day. We decided to tackle the walls late afternoon. Unfortunately even in late August, we failed to avoid both the crowds and the heat! But another good thing about this time of the day was that it was perfect for photography. The sun sitting low in the sky really highlighted the town’s canopy of red roofs. It was simply magical. The fantastic view over the canopy of red roofs. Stunning! We’d recommend starting at the Ploce Gate entrance where the steepest steps are, in order to get the worst part out of the way first. Depending on your speed and fitness level, the complete walk around the walls can take from one to three hours. Allow at least two hours because believe me, you will stop many times to take photos. 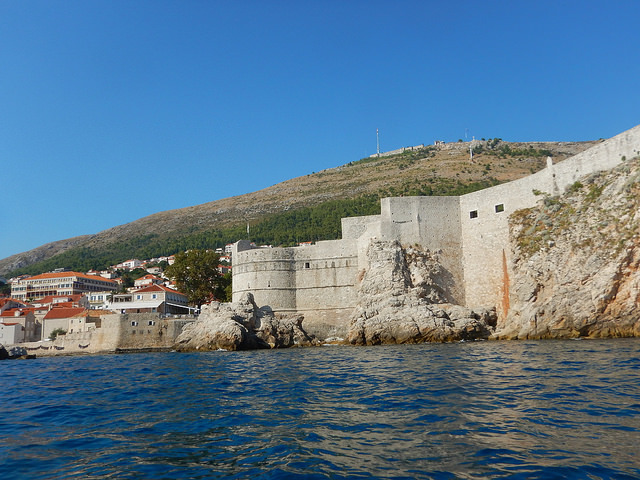 While walking along the walls you will spot some buildings that were destroyed in 1991 during the siege of Dubrovnik. Although many of those buildings have been rebuilt and it is hard to notice any signs of war, there are a few that still have clearly visible damage. As you reach the other side of the wall, the sun setting on the Adriatic sea and over Lokrum Island will blind you. It’s breathtaking! The entrance fee to climb the walls is 120 HRK. Although it is expensive, it’s definitely worth it. The cost of the ticket also includes entrance to Fort Lovrijenac. 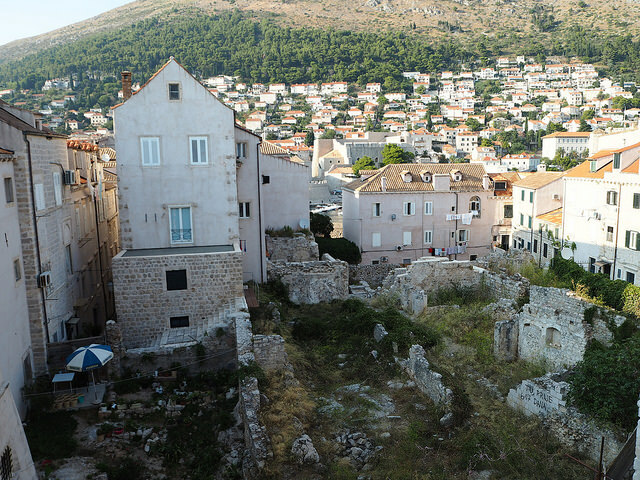 Fort Lovrijenac gives you alternative views of the old town and is also best visited late afternoon. If you are a fan of Game Of Thrones you will definitely want to check out the fort as they filmed many scenes within its walls. Lokrum is a small island that’s only a fifteen-minute boat ride from the old port. Tickets for the boat cost 100 HRK per person return. Lokrum is a great place to go for a few hours if you want to escape from the hoards of tourists in the old town. Go during the day when the cruise ships are in town to find some peace and quiet. It’s also where the locals go to wind down after a long week’s work. The island itself is quite small; less than one mile wide and its only inhabitants are peacocks! A half day is sufficient to see all its sights but if you want to relax you could easily spend all day. 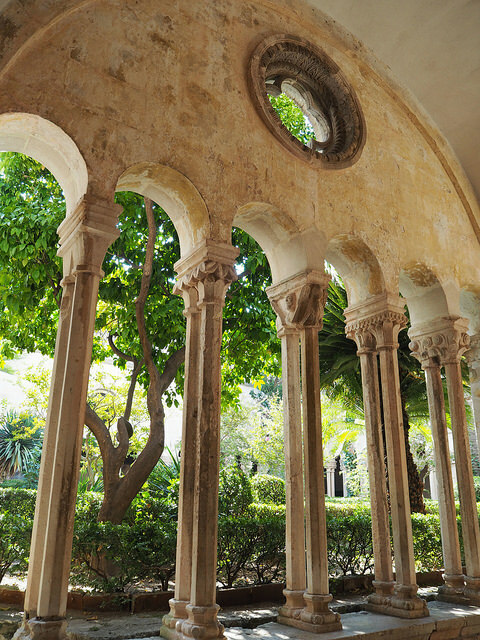 You can visit the old Benedictine Monastery, the Fort or the Botanic Gardens. Or you can simply jump straight into the crystal clear water! In fact, the water was so inviting that Simon, in such a rush to enjoy it, jumped in with both his wallet and iPhone still in his pockets! Needless to say, the iPhone didn’t survive but he really enjoyed that refreshing swim! 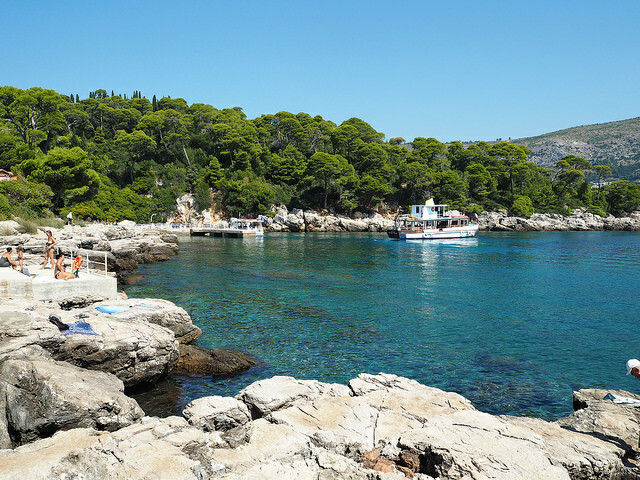 If you get sick of your tan lines, Lokrum has a nudist beach which seemed to be quite popular amongst the male population, earning it the nickname “Sausage Beach”. Where Simon jumped into the water with his iPhone and wallet still in his pocket! 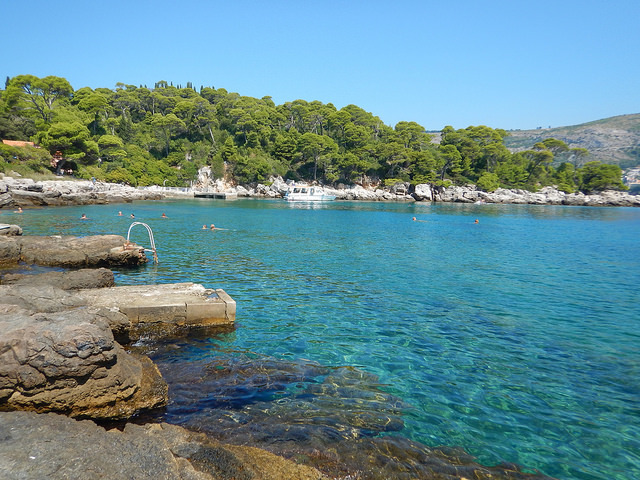 One of the stunning beaches on Lokrum. Such beautiful clear waters! The view over the old town is to die for. For the best views, take the cable car up to the peak of Mt Srd. The ride costs 120 HRK or 180 HRK if you take a combo day/night ticket (the view at sunset is pretty popular too!). If you get hungry up top, take a break at the Panorama restaurant to enjoy a meal or even just a drink. The meals are a bit expensive but the view is priceless! If you can’t afford the cable car, you can hike up to Mt Srd and it’s free but make sure you start early. I wouldn’t fancy hiking it in the midday heat. Even better, if you have a hire car, you can drive up there! Another way to enjoy the view is to book one of the many AirBnB accommodations overlooking the old town. We were lucky to find a great studio in Ploce which had an amazing view over the old town and Lokrum Island. The only problem with this were the 450 steps we had to climb when returning home from the old town! It was great exercise though, and it meant we could eat as much ice cream and Croatian cheese as we wanted! A win-win situation! The view from our AirBnB studio! Can’t complain! 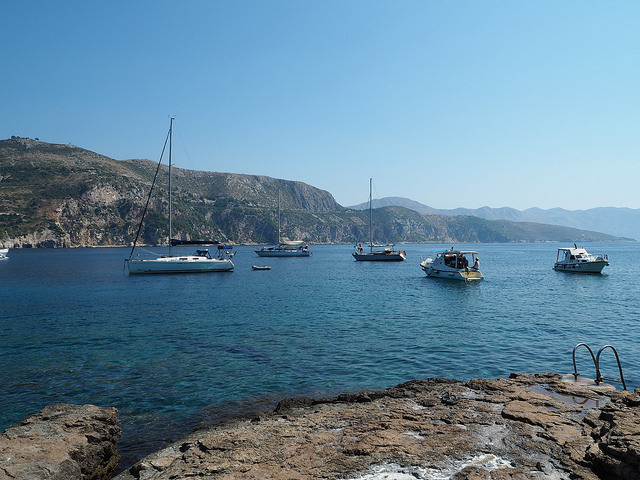 You can’t go to Dubrovnik and not spend some time on the nearby Elafiti Islands. There are fourteen islands in this small archipelago, but only the three largest are inhabited, Kolocep, Lopud and Sipan. All three islands are linked by ferry and taxi-boat to the mainland, making them the primary destinations for island hoppers. Although it is easy to access these islands, they remain unspoilt by tourism and even in August they were relatively quiet. We took one of the many organised “three island hopping” cruises from Dubrovnik and had a great day motoring between the islands. 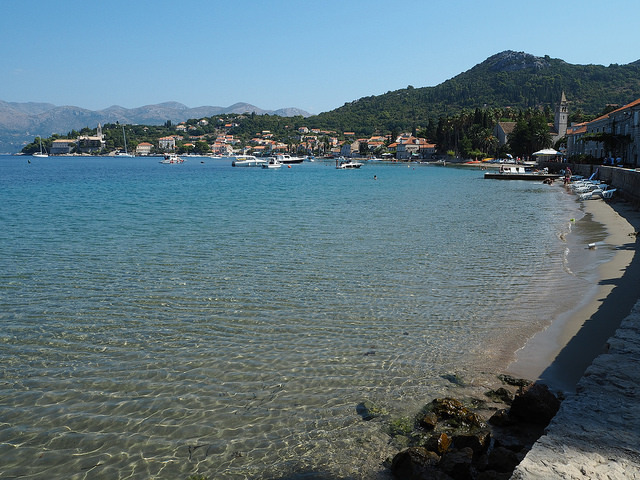 If you like sandy beaches, Lopud’s Sunj beach will be a nice escape from Dubrovnik’s pebble covered shores. Yet what we loved the most was the clarity of the water around the islands. It was amazing and so inviting that it was impossible not to jump right in. The beaches in Dubrovnik are not what we Australians call beaches. White sandy beaches? 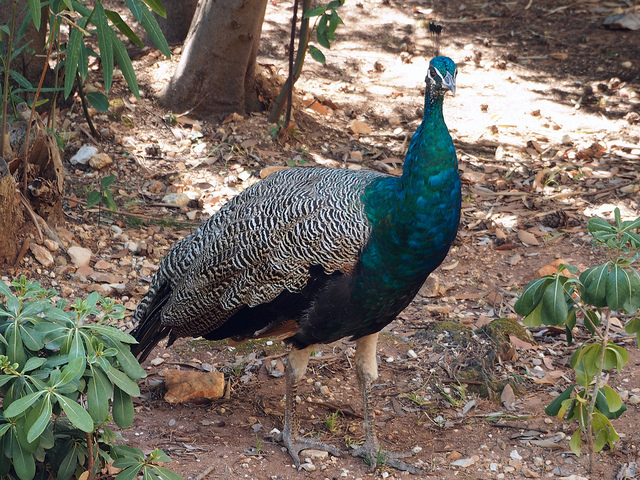 There aren’t many of those near Dubrovnik! 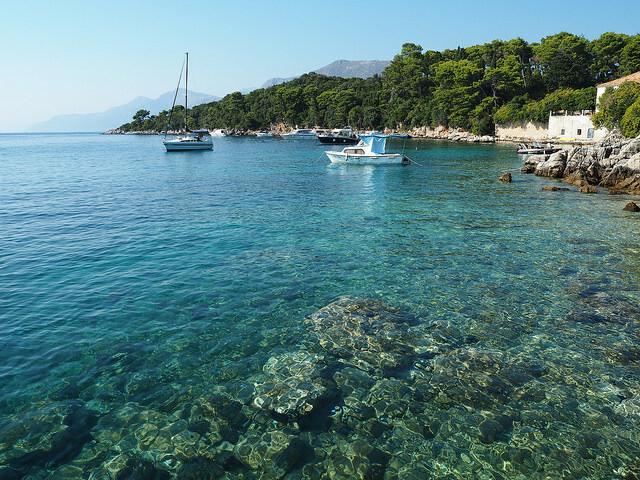 In Croatia a beach is any clear area that has access to the deep blue waters of the Adriatic sea. They are mainly pebbled banks or rocky outcrops that you can jump off to enter the water! Those rocky beaches are hard on your feet but once in the water, you’ll be in heaven. Plus you won’t have to worry about getting sand all over you when lying on them! But yes, rocks and pebbles are definitely not as comfortable as sand! The closest beach to the old town is Banje Beach, a short five minutes walk away. You can pay to make use of the day beds at the Banje Beach Club or simply lie on the other side of the beach for free. If you go early in the morning it isn’t too hard to find a spot, but bear in mind it is a very small beach. 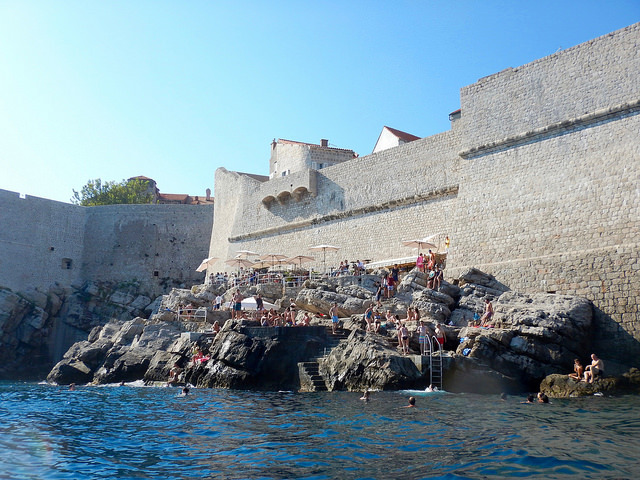 Another great place to swim in Dubrovnik is directly off the main walls of the city in one of the two Buza Bars. Once again, they are not beaches as such; they are just rocky areas where you can jump in the water. The drinks are pricey but with a view like this and such a great atmosphere, it’s worth checking them out. If you want to head out a bit further, Copacabana Beach and Lapad Beach are very popular with both tourists and locals. Arriving in Dubrovnik we did not have any expectations about Croatian wine; we had never heard about them! But we love to taste the wines of the countries we visit, so we had to check them out, and we were so pleasantly surprised. Croatian wine is awesome and who knew? Since they don’t export much of their wine, unless you go to Croatia you’ll never know either. Their red wine variety called Dingac was our favourite with its rich but smooth flavours. Our wine flight and monster platter at D’Vino wine bar. So delicious! 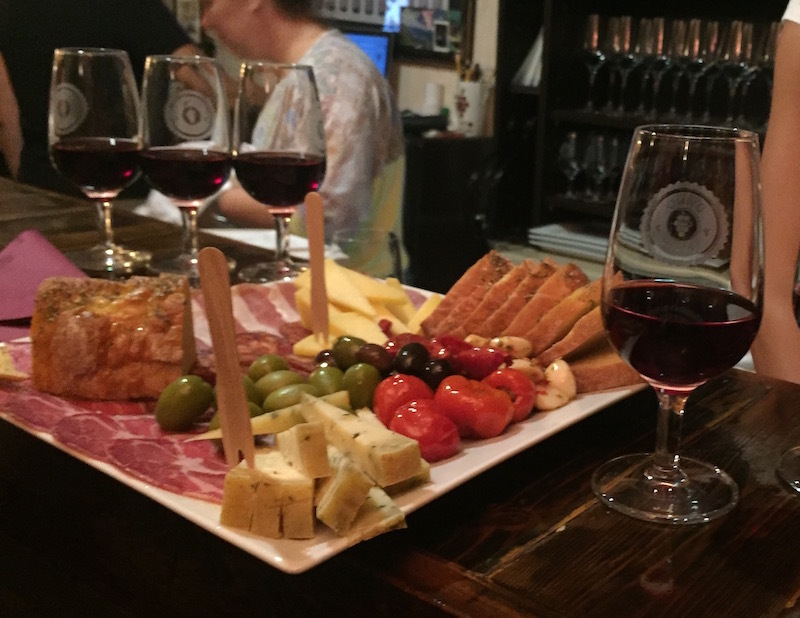 The old town has a few wine bars where you can taste some local wines. Our favourite was D’Vino which serves wine flights with generous pours of three different Croatian wines. If you’re hungry try one of their tapas plates with gorgeous Croatian cold meats, olives, stuffed peppers and cheeses! They are delicious and you can easily make a meal from them. 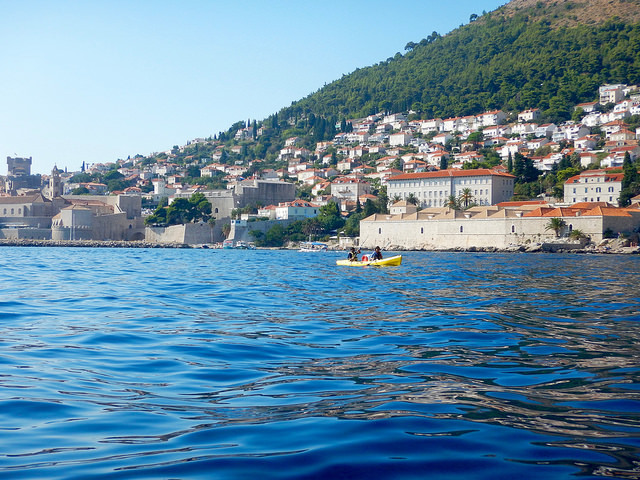 If you love kayaking, you will love kayaking around the city walls. Personally, I avoid kayaking since after an accident that I had as a teenager, but Simon loves it. So I agreed to take a kayaking trip just to keep him happy! 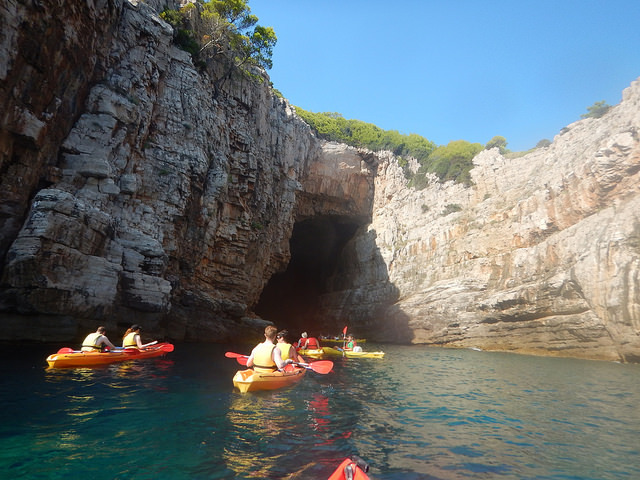 Kayaking around Dubrovnik was actually really easy and enjoyable after all. The water was calm, and the rowing was easy and not at all scary. 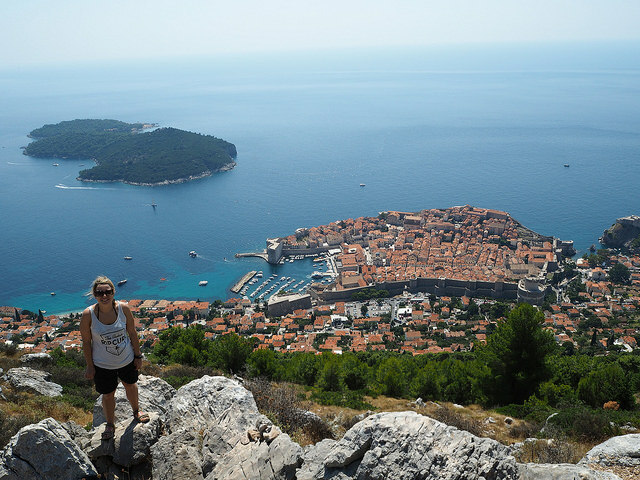 What made it enjoyable the most was seeing the old town and Lokrum from a different angle. 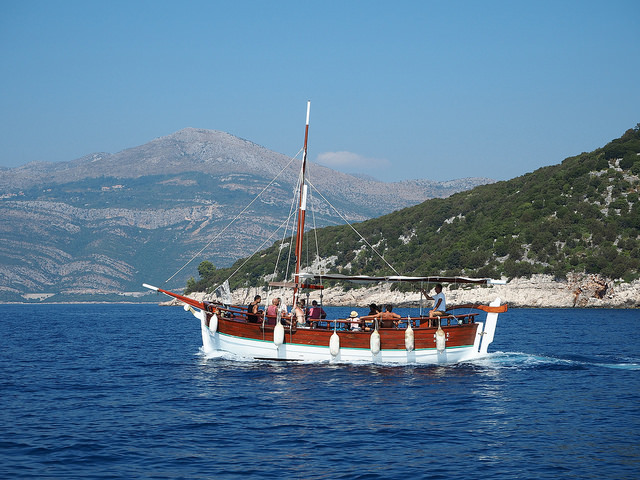 We used Adventure Dalmatia and we had a great time. I highly recommend taking one of their trips while in Dubrovnik. Experienced kayakers can simply hire a kayak and do their own thing. However, with all the large boats around we found it safer to go with an organised tour. They also took us to a little cave beach along the nearby coast where we did some snorkelling. It was a great way to spend a few hours. 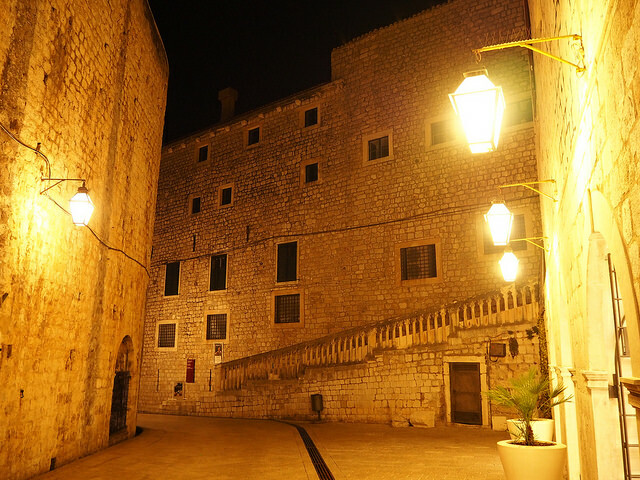 One of my favourite things about Dubrovnik was heading back down into the old town at night. Every night at sundown the main street Stradun comes alive, especially in the tourist season and even when the cruise ship passengers have left. We spent most nights wandering the streets after a drink and dinner in one of the many restaurants that the old town has to offer. It’s a really enjoyable way to walk off your meal. Many places remain open past midnight and if you’re into nightlife there are many bars and pubs to check out. 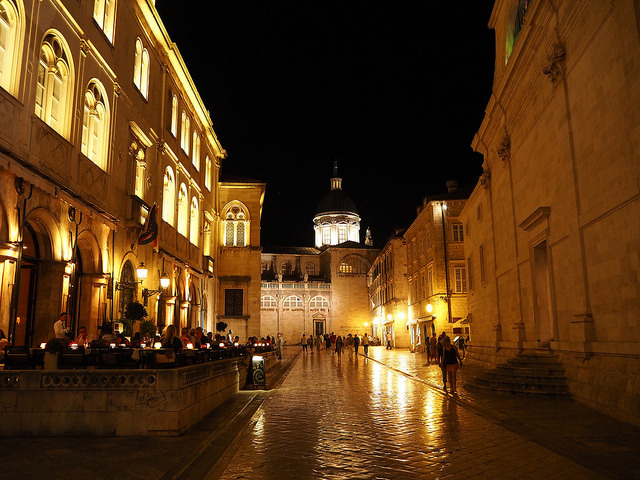 If you are into photography you will love old Dubrovnik at night. When lit up its buildings looks oh so pretty. 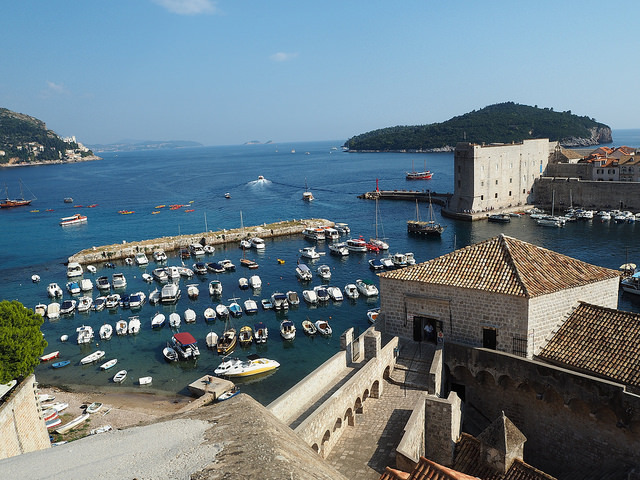 Dubrovnik is a great base for exploring the nearby coastal islands and Croatia’s neighbouring countries. 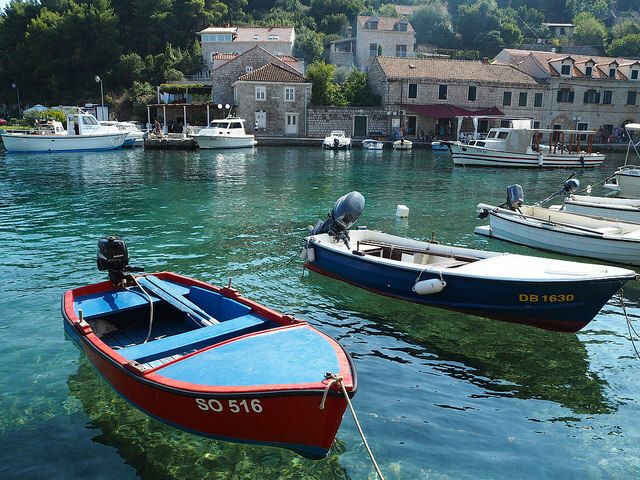 There are many day tours you can take; the most popular being to the southern Dalmatian Islands such as Korcula, Mljet National Park or the Elafiti Islands. 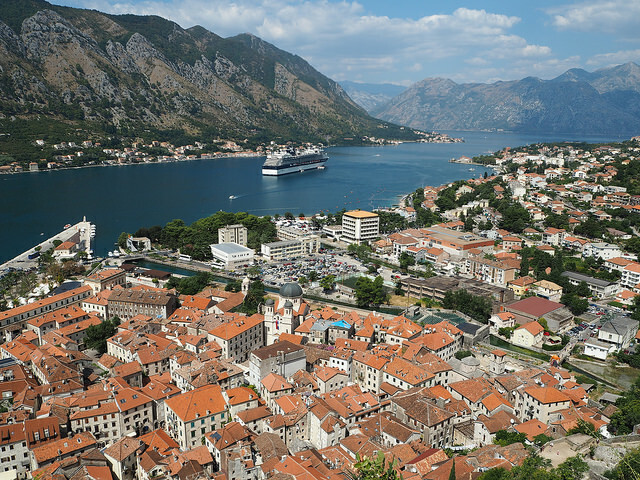 If you fancy adding some extra stamps to your passport, the Bay of Kotor in Montenegro and the town of Mostar in Bosnia are only two hours away. We visited both and they were definitely worth the trip. But remember to take your passport! 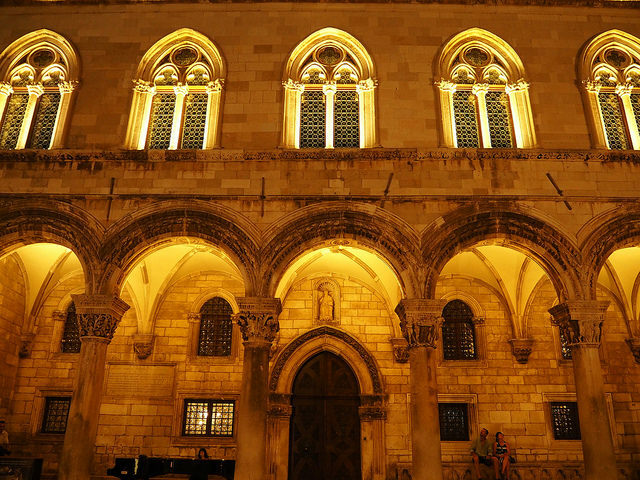 We also did a day tour to Split but we would recommend staying there overnight or for a few days instead. It was three hours away by car which made it a long drive and a long day. It’s a lovely place though and one you will want to spend some time exploring. For wine lovers, there are also daily trips to the nearby wineries for some tasting. I wish we had found some time to do that. Next time! 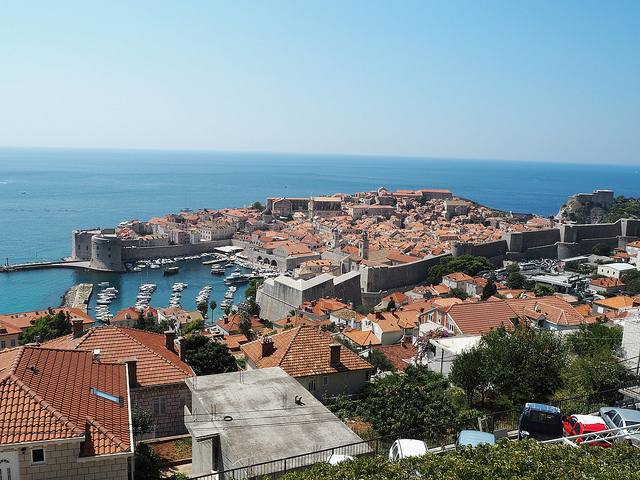 If you haven’t made it to Dubrovnik yet, you should definitely pay it a visit. There is no place in the world quite like it and after a few days there we knew we were going to miss walking into the old town every day. We had read that it would be touristy in August and were not expecting to enjoy our time there so much, but even with the crowds, we had an amazing time. 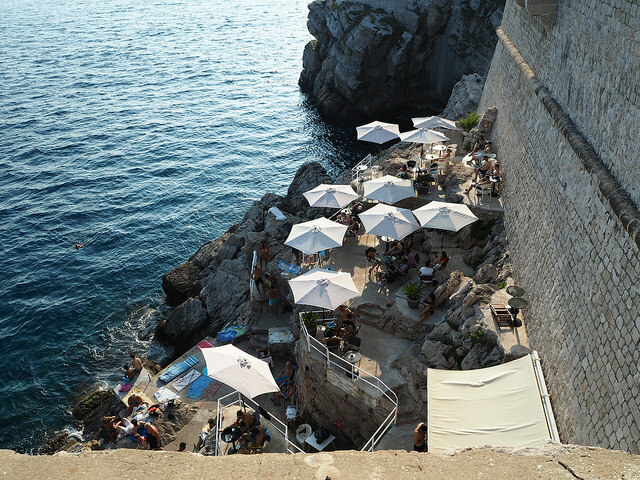 There is plenty in Dubrovnik to keep anyone busy. 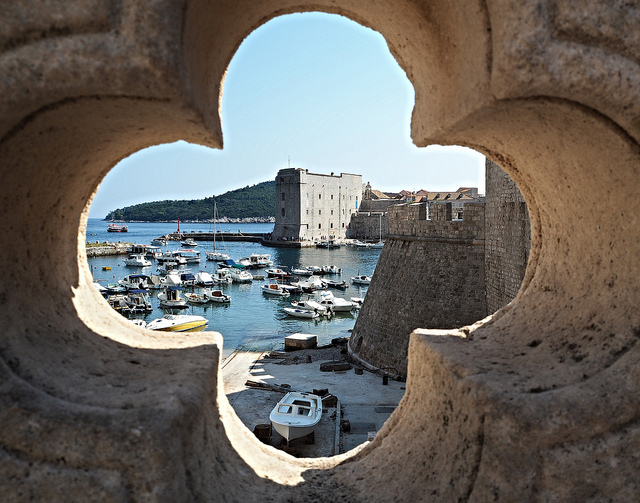 Whatever type of vacation you enjoy, it would be hard not to fall in love with Dubrovnik. One of my favourite cities! Your photos are amazing, the colour of that water is incredible. Kayaking looks like great fun too! Thanks Charlotte. Yes kayaking was great there and I am not even a big fan of kayaking! It was very enjoyable.